Each of the squares is 1 1/4". I sold my punch that size a couple of years ago so I just cut them on the paper cutter. Takes a little while but easier on the hands. Card making weekend has put a few more cards in the stash and the OWH box. And I had a fun weekend watching the new CHA product videos. 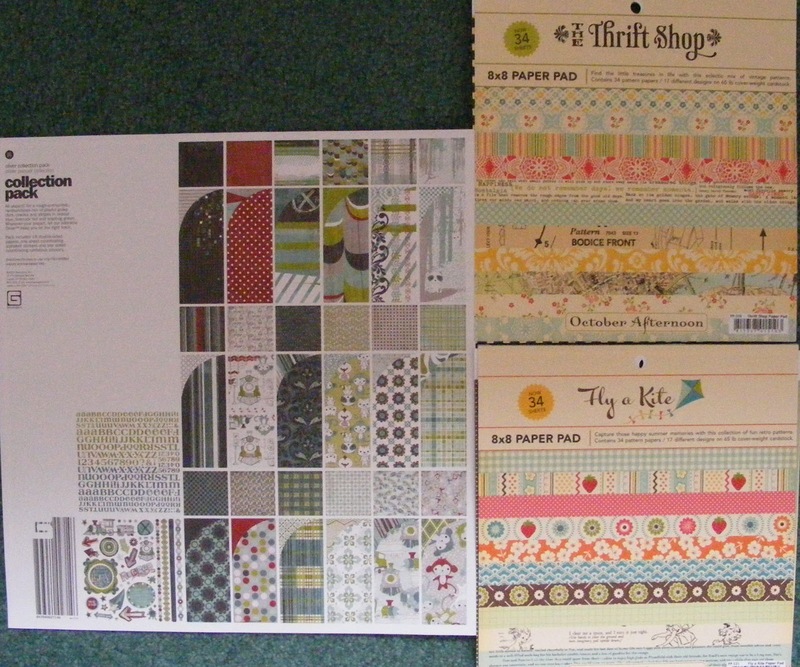 To build up my card stash, I'm working through Basic Grey's Nook and Pantry 6x6 paper pad that I've had quite awhile. 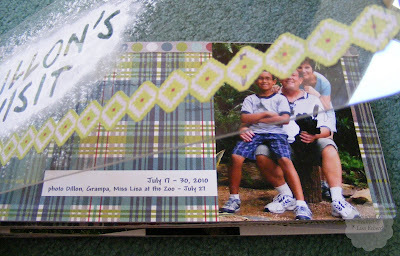 Many of the papers I'm using are ones I'd "saved" for that special card that just never got made until this weekend. The card above was actually my leftover card. I cut the one below first and used the extra piece from it and another scrap I had to make the base for the top card. I like the top one best as so often happens. Does that happen to you? Your leftovers actually make the prettiest stuff. 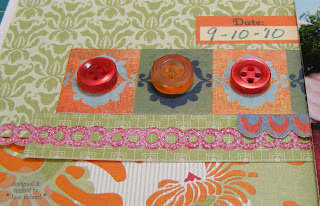 Anyway, this is also for Two Peas "It's All about Layers" challenge since I pulled together several papers with the border strips to bring it all together. On top are buttons and brads. I resisted the urge to put a flower on this one, too. 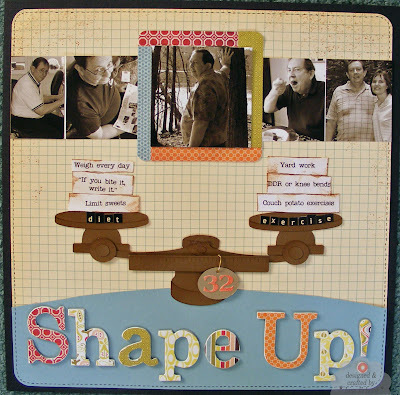 See other challenge entries at 2 Peas Layers Challenge The challenge ends tonight at midnight, central time. There are lots of them so check them out and enter for a chance to win. Ingredients: Stamps: Mailbox Greetings from PTI and All Holidays from Stampin' Up! The next card class I'm doing in February will be using small stamps. I made a couple of the cards last night, one more elegant and one more fun. The fun one shown here is using a repeated cherry stamp from October Afternoon's Cherry Hill collection. Three cherries on a slot machine is supposed to be the jackpot, isn't it? I hope so, because I use the Lucky You stamp from one of the current Stampin' Up! hostess sets. 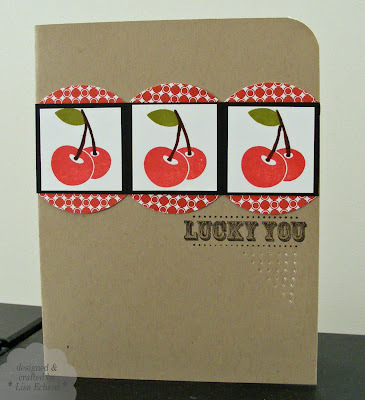 To stamp the cherry image in multiple colors, I first inked the lower part of the stamp in red and stamped. After cleaning, I inked the top half of the stamp in green and stamped. Then I went over the stems with a brown marker. This was faster than using markers for all of it. This weekend is the winter Craft and Hobby Association show and there are lots of things going on on-line as new product lines premiere. I'm following Two Peas in a Bucket's videos found here. 2 Peas CHA Blog You can leave comments for a chance at a prize of new product. I've only watched about three videos so far and haven't found any must have's but I'm sure there will be plenty on my wish list before the weekend is done. Ingredients: Stamps: Cherry Hill from October Afternoon, Afterthoughts from Stampin' Up! 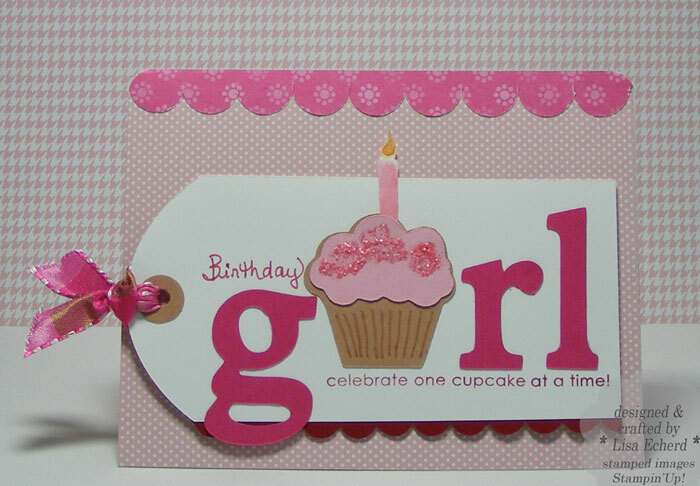 Cardstock: Crumb Cake, Basic Black from SU! 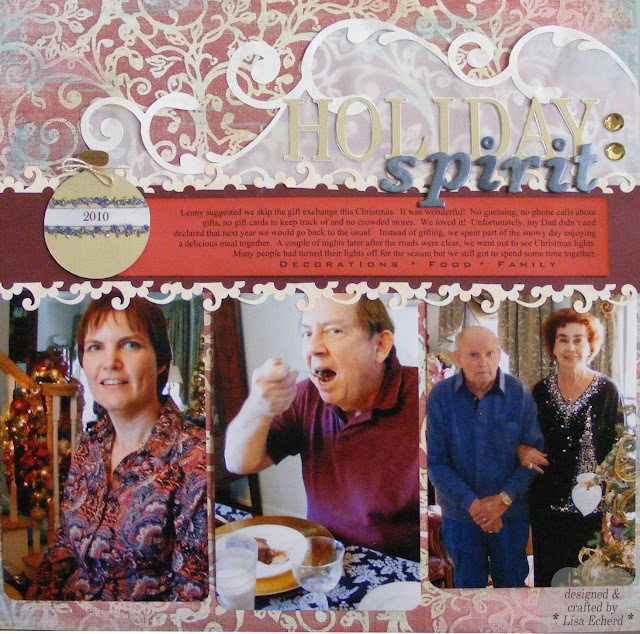 Using the sketch from Two Peas in a Bucket Stretch the Sketch class, I scrapbooked our favorite traditions of this holiday. 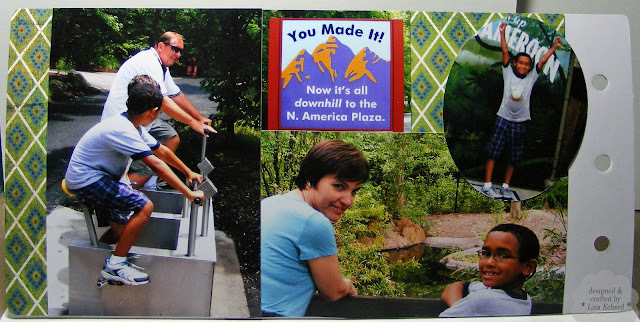 The biggest change was no gift exchange which my husband and I loved and my Dad hated. Daddy can't seem to see that he is the challenge because he won't give us a clue what he wants. Urgh! Anyway, it lasted for this one blissful Christmas anyway. I'll have another layout later on to capture the most magical part of the day - snow! It is seeming a little less magical these days as we hope the weather forecast doesn't call for more white slippery stuff but on Christmas it was wonderful. I already had these photos printed or I might have made them a bit smaller with a white border. The background for the title is the most interesting part. 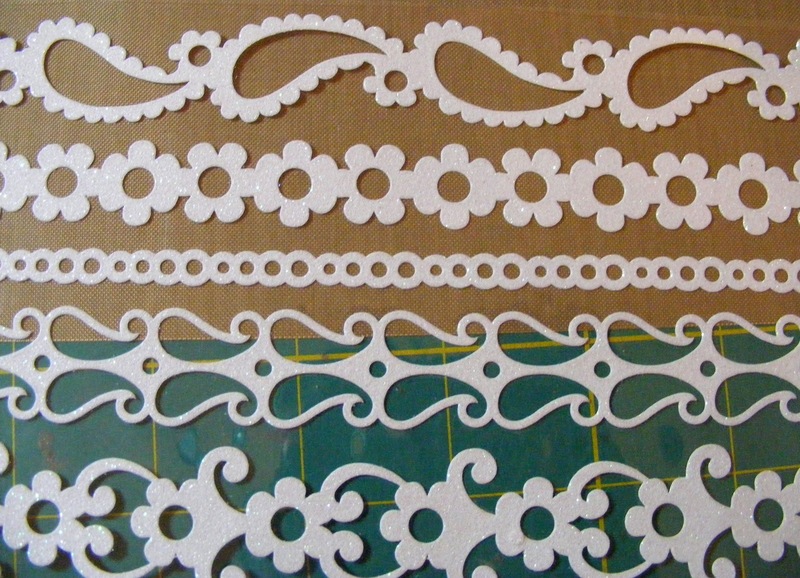 I cut flourishes with the Cricut Staight from the Nest cartridge and swirled them down the edge of some vellum. 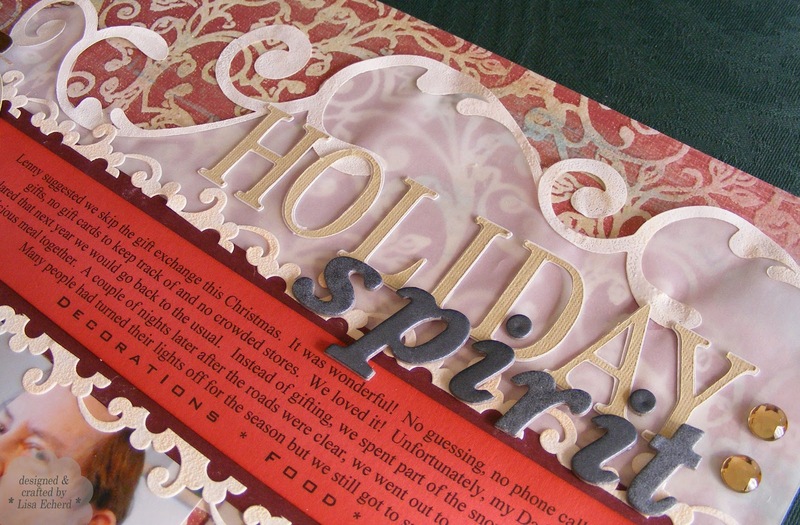 They are cut out of vellum also and embossed with white embossing powder. I did get them turned around literally and embossed the wrong side first and had to do them over. Oh, well, they are extra strong that way! The border on either side of the journaling is another from KI Memories. I think I feel an addiction coming on. Thanks for visiting today! Hope you'll come back over the weekend. 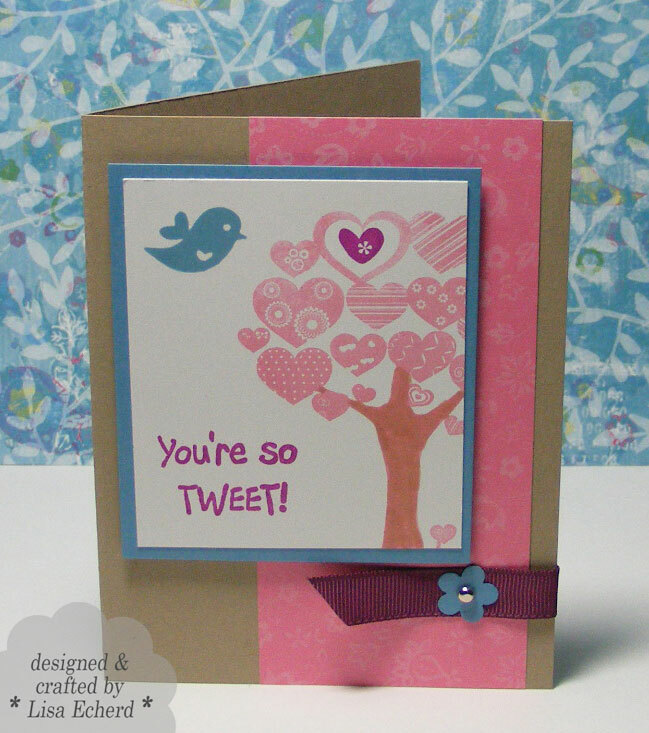 I"m planning a card making weekend so I hope to have some posts up both Saturday and Sunday. 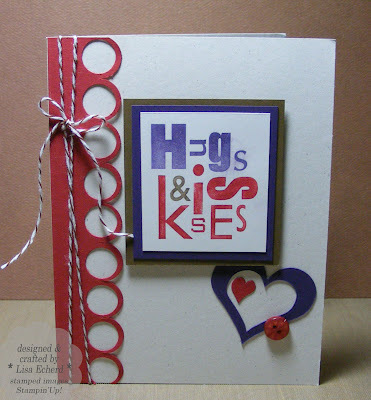 White embossing powder: Stampin' Up! 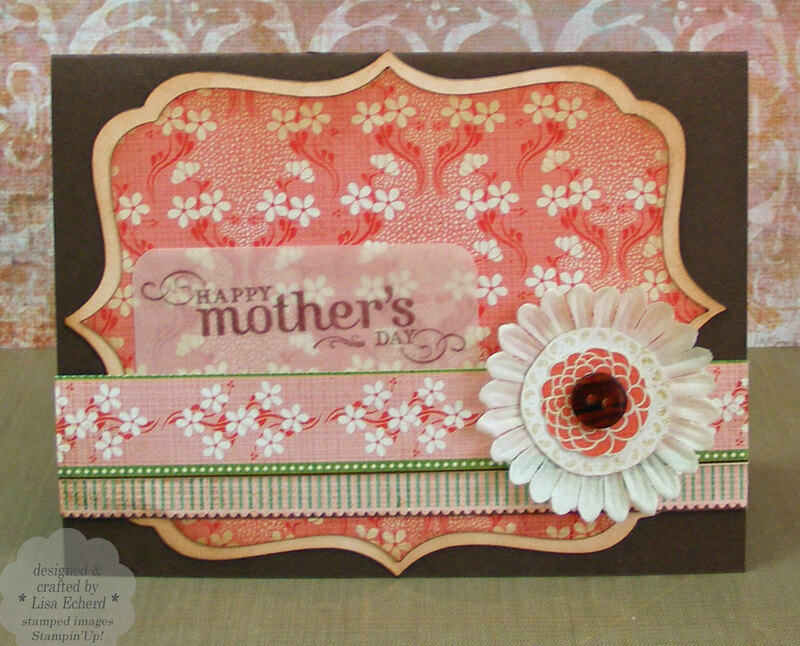 Below is a short video on creating the border on this card. 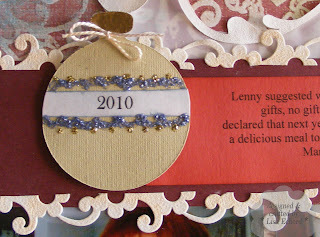 I've used the slit punch and the 1/2" circle punch. 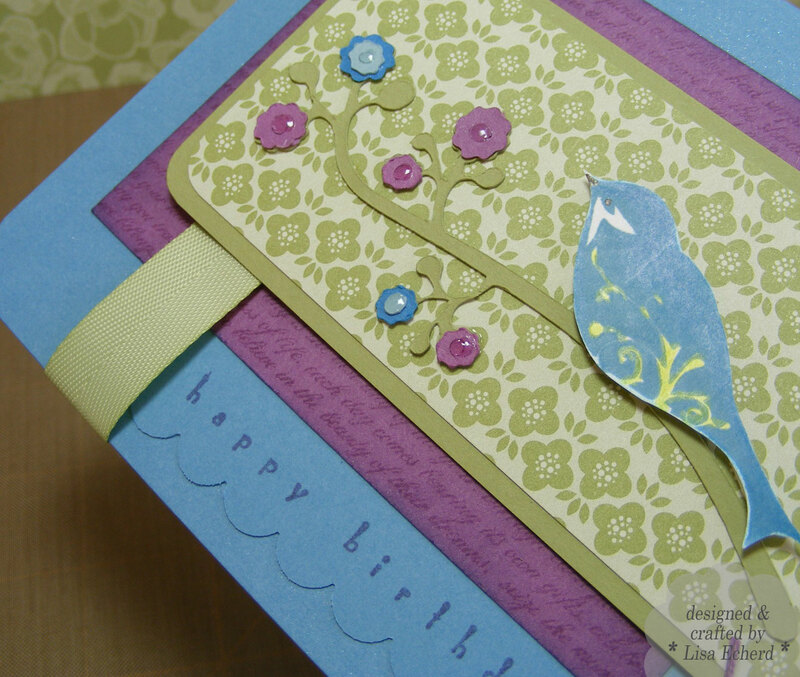 The colors for the card are from this week's Splitcoaststampers color challenge: Riding Hood Red, Soft Suede and Elegant Eggplant. Thanks for stopping by! Feedback is much appreciated. 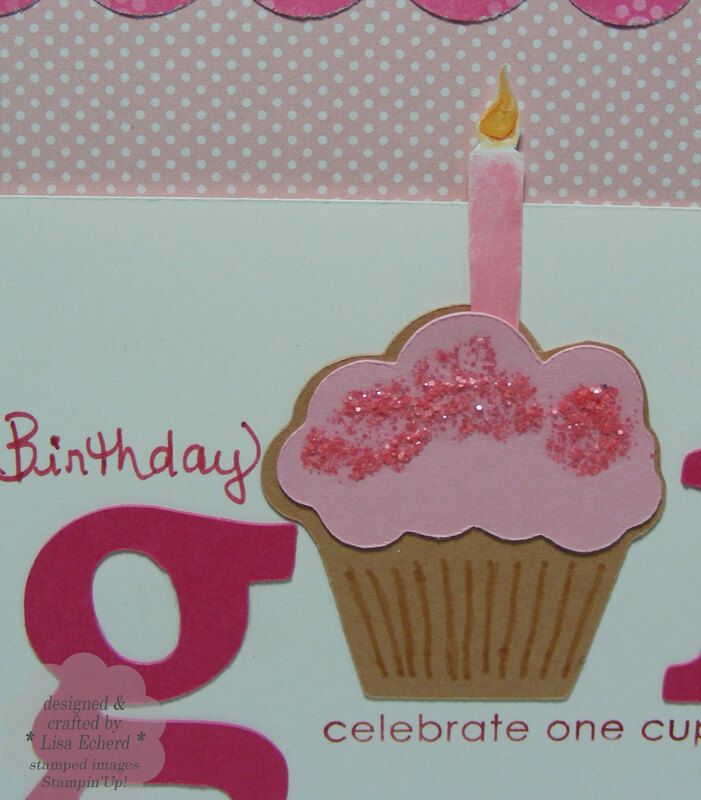 Ingredients: Stamps: Alphabet Soup by Stampin' Up! Hi! TIPsy Tuesday is running a little late this week. I've got a lot of regular work to do today. I hope to have it up this evening. I've shot the video yesterday, just haven't had time to play and make the card that goes with it. On another note, Creative Memories is having a 20% off sale on all their albums and fills. I continue to use their albums because I like not having to put my pages in a sheet protector. 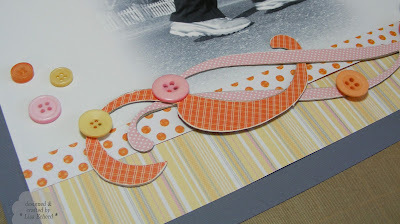 I put so many 3D embellishments these days I feel like they are getting squashed in sheet protector. I think the sale runs through January. 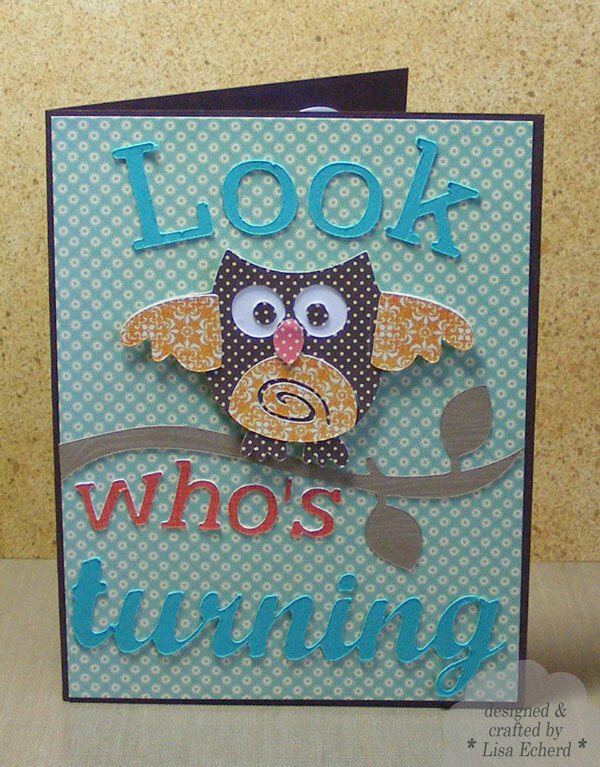 Here's a cutesy card for you. 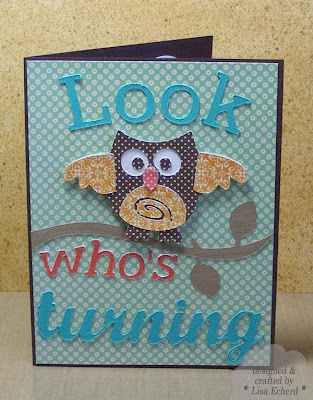 This little owl is made with the Straight from the Nest Cricut cartridge. There are so many elegant and cute images on this cartridge, I can't wait to use them! The card is going to a friend of the family who turns 30. It is all relative isn't it? I'd love to be 30 again - well, maybe be the age I am now and just look and feel 30. Wouldn't that be great? 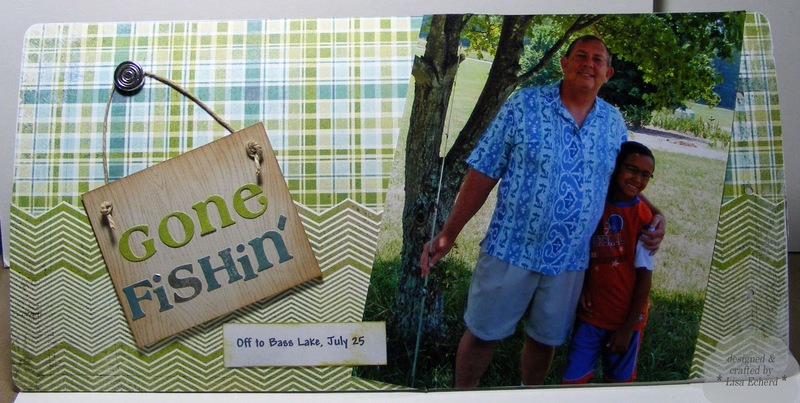 The inside of the card has a big 3 0 with his photo inside the '0'. All the letters were done with SCAL software on the Cricut. Thanks for visiting. Hope you will come back tomorrow for TIPsy Tuesday. I'm planning a short video on using a couple of punches in a different way. 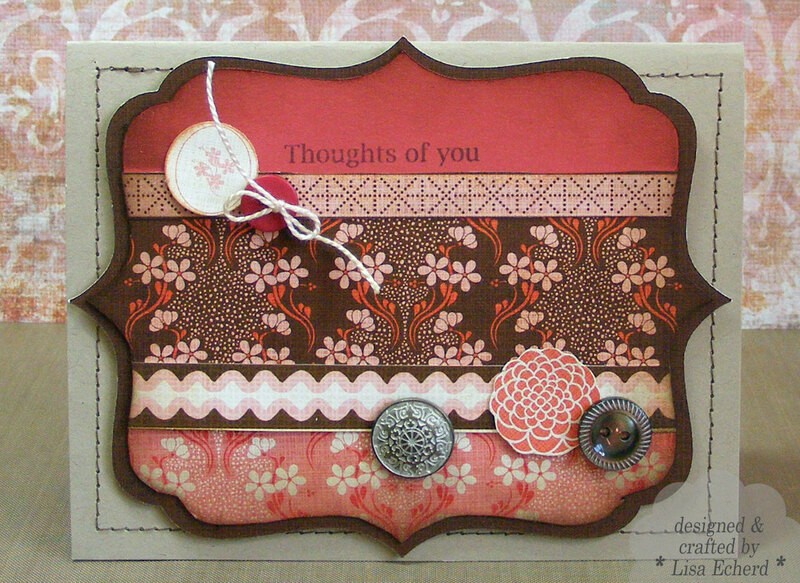 Ingredients: DSP: October Afternoon Fly a Kite and Thrift Shop 8x8 paper pads. orange color is a Basic Grey paper. Cardstock: Chocolate Chip and Bermuda Bay from SU! I always admire pages that leave a lot of white space. Yet, my pages overflow with photos, journaling and large titles. So I thought I'd give Shimelle's sketch a try this week Shimelle's Sketch. The "white space" was to show off a great piece of pattern paper. I oohed and ahhed over this piece from the Stampin' Up! Greenhouse Gala pack when it came in and knew I had to use it for our California trip. 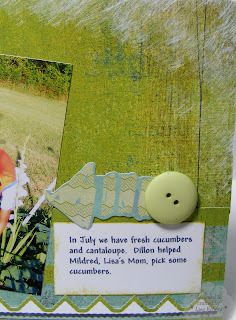 Also, for this page, I worked with border stickers for the Products Every Which Way class at Two Peas in a Bucket. I've layered some stickers. Also, I recolored one. The red sparkly border was really white until I inked it with some Staz-on in Blazing Red and Timber Brown. The glitter still shows through. This is a rare page for me. I didn't use the computer for anything! The journaling was done by hand, the photos were printed at Wal-mart, and I used stickers for the title - no Cricut. I learned that you can use smaller letters for a title and still get the point across. This is the first page in the California trip and it was one of my favorite days. Lenny and his friend Susan are in the photo when we were at a wine and food pairing at one of their special vineyards. The weather was gorgeous; our friends, excited to show us their new community; and the food; delicious. 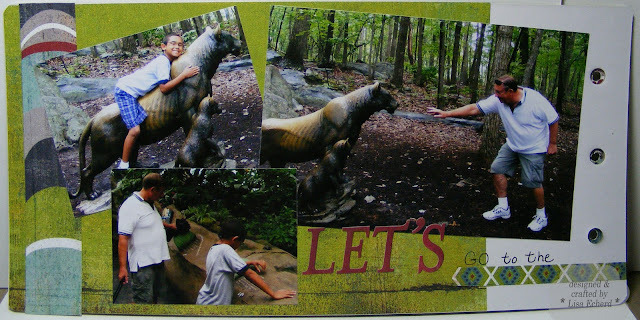 I remember being so relaxed, pain free, and happy that day after several stressful weeks before the trip. It just felt so good! 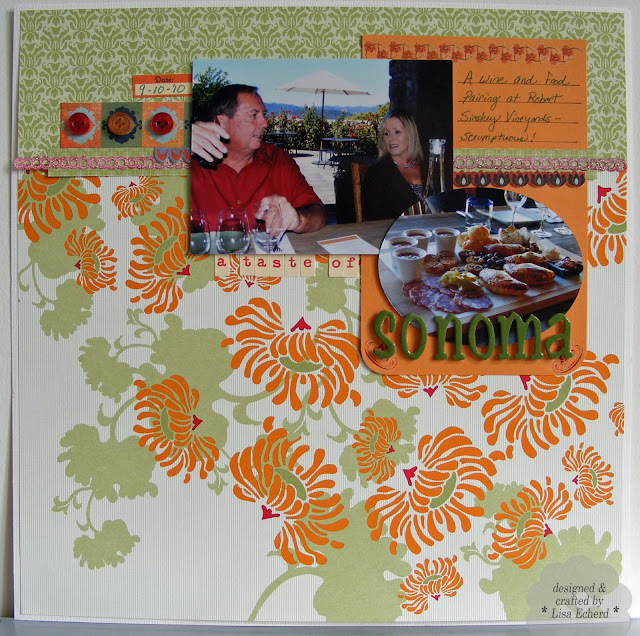 One of the great joys of scrapbooking is getting to relive a wonderful day when you are doing a page. Ingredients: DSP: Greenhouse Gala; Pear Pizzazz DSP from SU! The branch and flowers were cut with the Straight from the Nest cartridge on the Cricut. 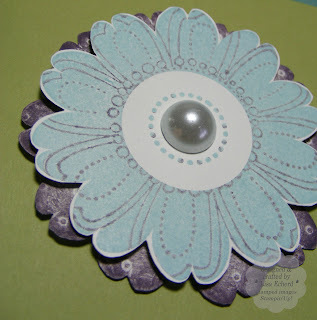 A drop of Glossy Accents fills the centers of each flower. 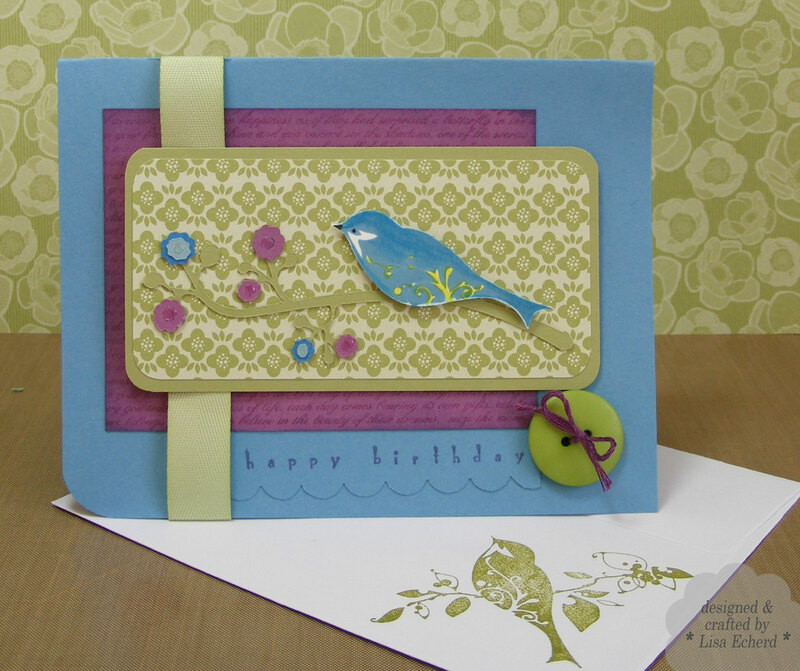 I used colored pencil to fill in the swirls on the stamped bird. He is stamped in one my new favorite colors, Colorbox's Prussian Blue. 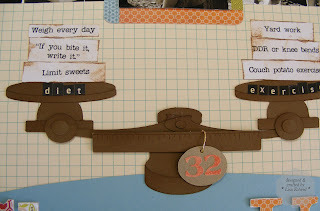 This is very close to Stampin' Up! 's new Marina Mist. I goofed up stamping "Happy Birthday" directly on the card front or maybe it was the Angels Mist I had put on first but anyway, it smeared. So I restamped it on another piece of Marian Mist, scalloped the edge and gave it a layered look. The matching envelopes are stamped with the entire bird and branch image in Old Olive. Doesn't that Certainly Celery ribbon really go with the new Pear Pizzazz? I love it when the old stuff blends in with the new. Thanks for visiting! 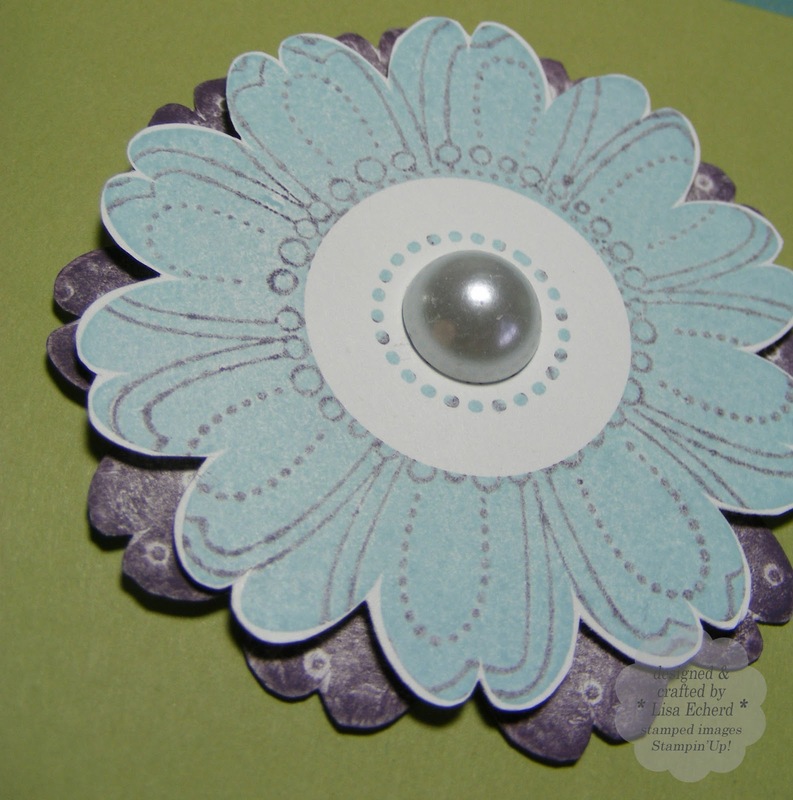 DSP and Cardstock: Pear Pizzazz, Marina Mist from SU! Ribbon: Certainly Celery from SU! Since I was going to be scrapbooking Dillon's visit with us last summer for us, I decided to do two mini albums and give one to him as well. Using one Basic Grey Oliver kit, I did mostly the same things in each album. However, with only one alpha sticker sheet and one images sticker sheet, I had to do a few things differently between the two. Also, the journaling is a little different in places. The first difference is the cover title. I cut out letters on the Cricut and attached them to the acrylic cover with removable adhesive. Then I sponged over them with white paint and stamped a little paint on with Itty Bitty Backgrounds stamp from Stampin' Up! I was going for a spray paint look without the mess and it seems to have worked. 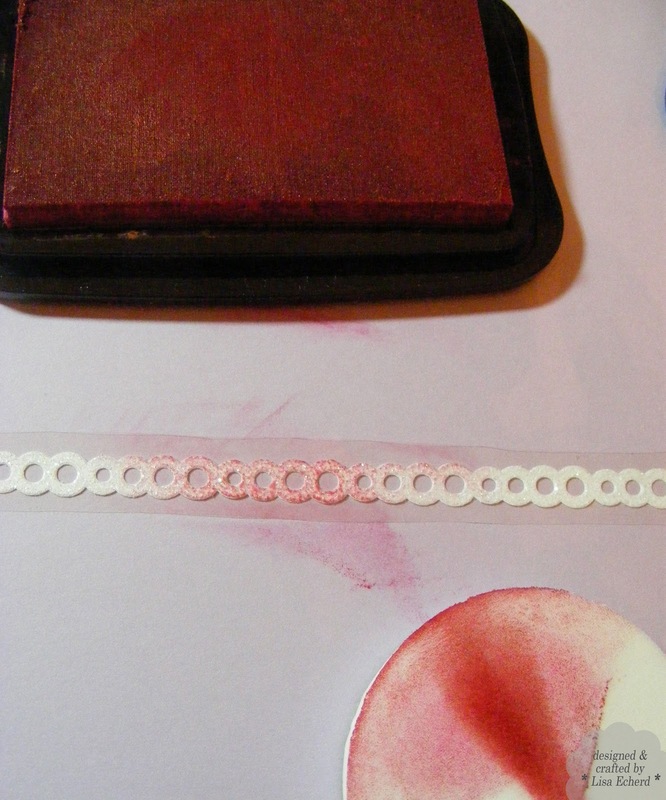 (I just wish I thought to do this on the inside so the paint won't get worn off with handling - duh!) Two different sticker borders complete the cover. 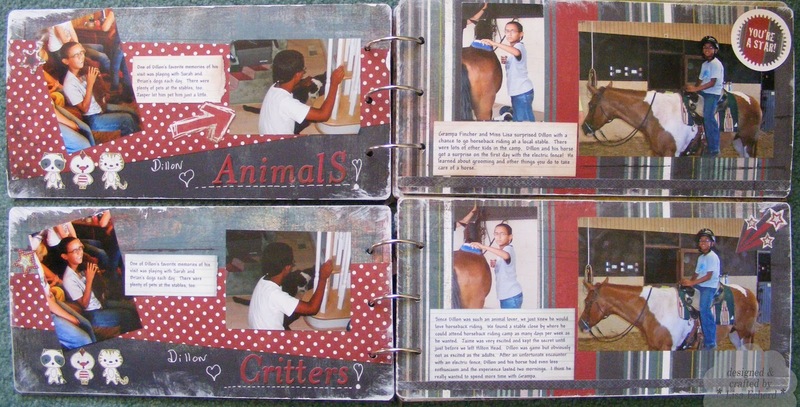 These pages are examples of some minor modifications to make the stickers stretch further. "Animals" on one page, "Critters" on the other. 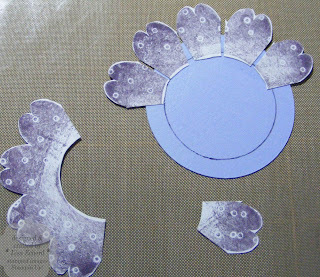 The little 'critters' on the left side are cut from pattern paper. 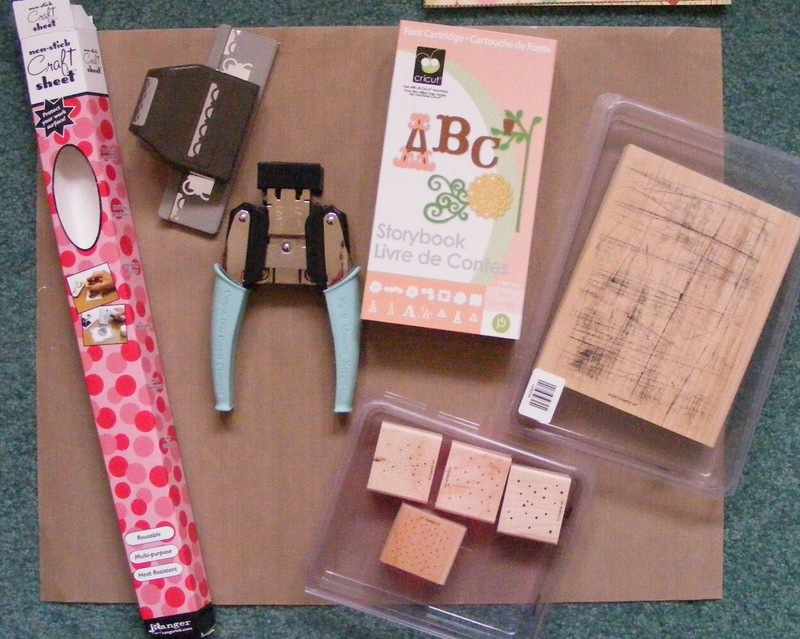 One 'fun' in chipboard and one in stickers on a tab punch. 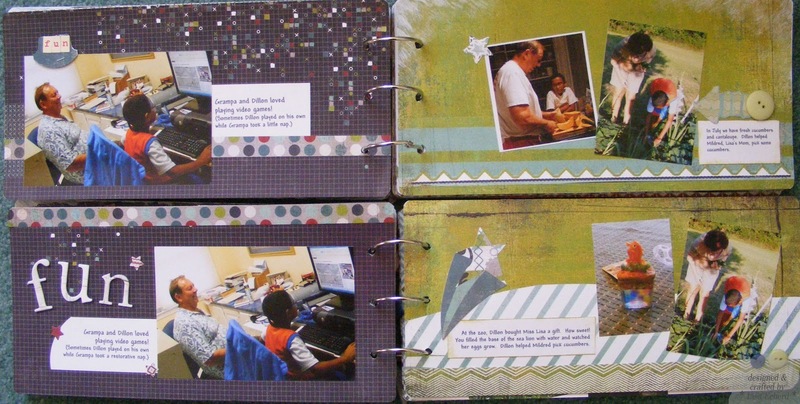 The journaling and photos vary a little here as I had different memories to capture from the adult vs. child perspective. A title on tab punches. 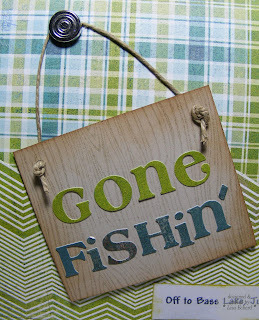 The sign is stamped with wood grain and distressed. I put the word "Gone" in green on one album and in the blue color on the other album. I did the same reverse color with Fishin' to stretch the stickers. Whew! 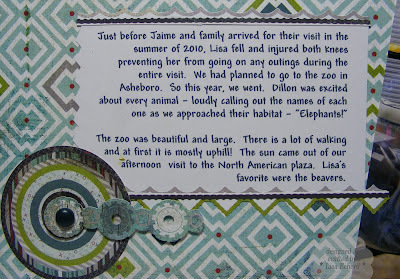 The remaining pages are in the next post down - our day at the zoo. This mini album pages were about half the size of a regular 12x12 page so all in all I did about 13 pages worth of scrapbooking in less than 2 weeks. 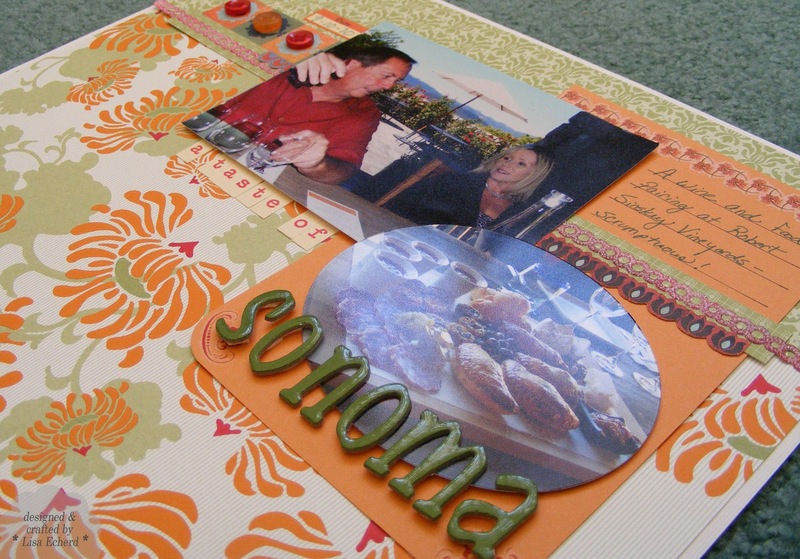 That is a ton for me as I'm a pretty slow scrapbooker. It seems like a pretty long post too so I'll save my thoughts on mini albums for another day. Got to upload this to Two Peas. This album goes in their Basic Grey product challenge this month. There is a nice prize opportunity for any of you Basic Grey fans. Here are a few of the pages from my two mini albums on Dillon's visit with us last summer. The albums are almost identical. One is for us and one is for Lenny's daughter and family. These pages are the most similar between the two albums. 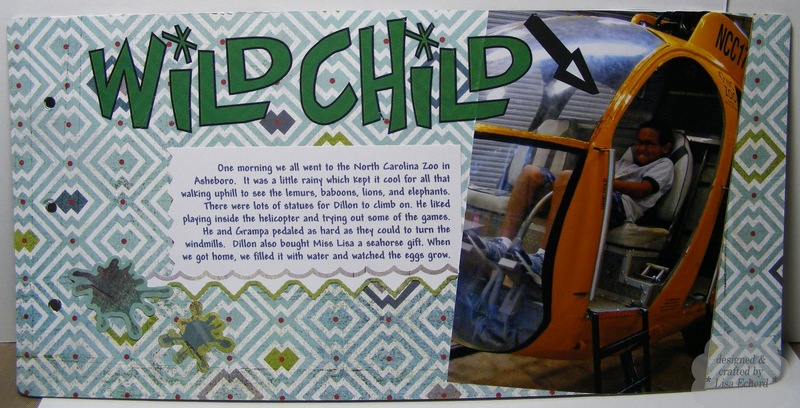 They capture our visit to the NC Zoo last July. I had last gone to the zoo the year it opened when I was in the 5th grade (I won't tell you how long ago that was!). I don't remember much about my first visit but I think it is safe to say it has changed a lot. The grounds are really beautiful with very natural looking habitats. Lemurs were the big draw and one of our first stops. My favorite photo of the day was the lions. They were paired up and looking perfect for a photo op. After probably a dozen photos, I think I got the perfect one. This last page was the one in this series that was a bit different between the two albums. 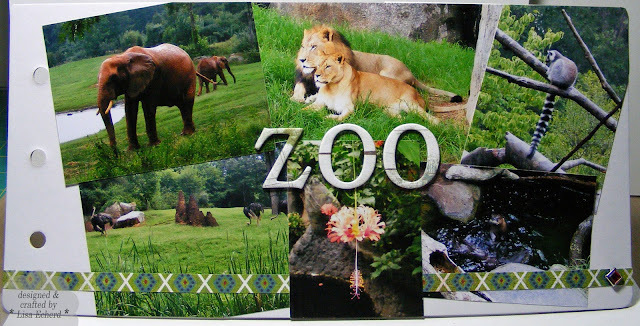 I got this "Wild Child" rub-on from Scrapbooker's Anonymous contest last month and it seem perfect for this photo and a zoo theme. This page is for Dillon's version. 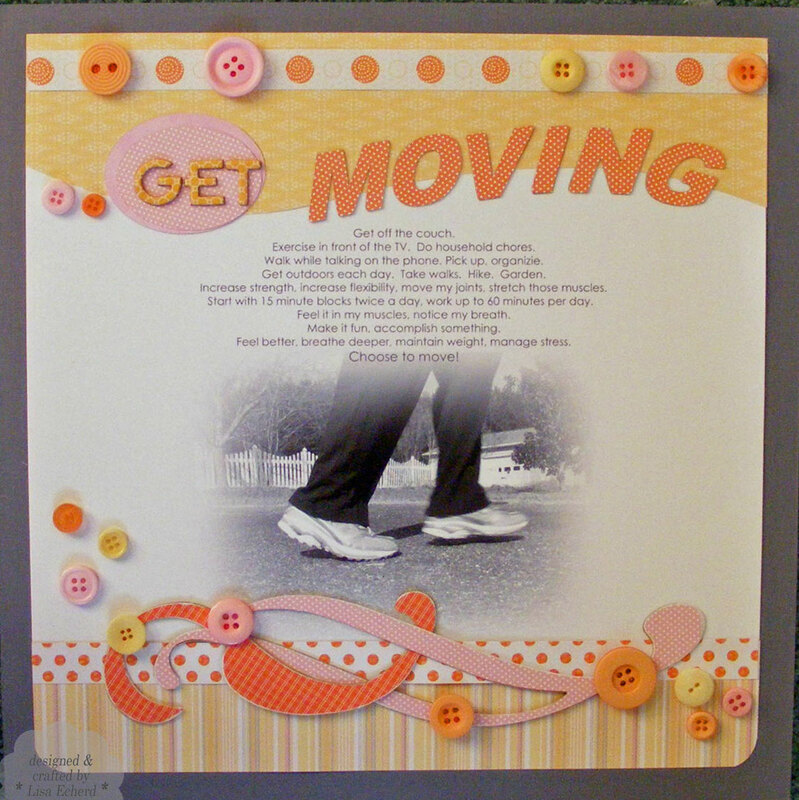 For our page, I used some of the layered border sticker techniques in Two Peas class this month. I was just about out of border stickers so I used the space between the stickers getting that little bit of each border that is normally cut off. I should have the remaining pages up tomorrow. Thanks for visiting! Ingredients: Basic Grey Oliver Collection Pack and chipboard letters. I saw a video at Amandainpa's channel on YouTube (her video) where she shared her favorite products from 2010. I don't have time to shoot a video today so I thought I'd just photograph and list them. 2 and 3. My favorite punches for the year are the Scallop Trim Border from Stampin' Up! and the We R Memory Keepers Corner Chomper - another Internet video favorite. I was concerned about getting this corner rounder because I have the Crop-a-dile from the same company. The Crop-a-dile is great for punching hole through lots of layers but it is tough on the hands because of the wide spread on the handles. The Corner Chomper's handles are closer together and much easier to use. I got mine at Hobby Lobby. 4. Storybook Cricut Cartridge. I was eyeing this one before I even got my Cricut. Finally I snagged it on close-out at Walmart. I wanted it for all the great shapes but have been really surprised by how much I use the font. I thought it would be too fru-fru but I've found it fairly versatile. E-bay is a great place to shop for cartridges - usually better than the store sales. 5 and 6. "Altering" stamps have been a real favorite this year. These are often background stamps but I use them to tone down a bright paper or give something a little more visual texture. The two shown are from Stampin' Up! - Itty Bitty Backgrounds and Sanded. Another one I love is Polka Dot Basics from Papertrey Ink. 7 and 8. It's no secret I love pattern paper. My favorites in paper still available are Basic Grey Oliver and October Afternoon's Thrift Shop and Fly a Kite 8x8 paper pads. Oliver is supposed to be for a 'little boy' and that is what I bought it for and am using most of the collection on some albums now in progress. 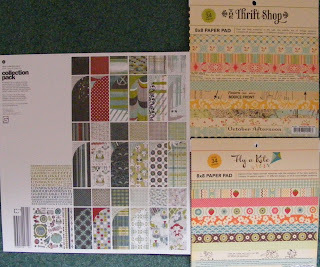 I am saving a little of this back though because there are so many beautiful versatile papers I can use on other non-child projects. 9. These are not new to me but I did buy quite a few more this year. 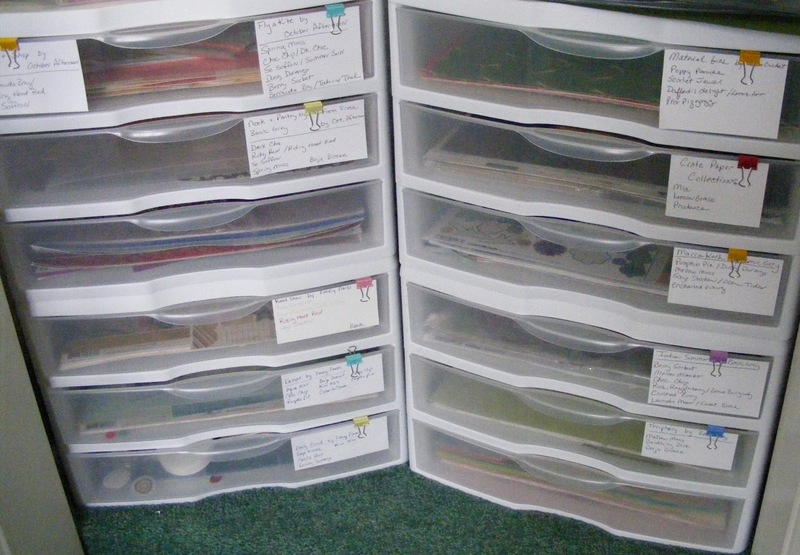 They are 12x12 stackable storage drawers. I think they are made by Sterlite and are available at Walmart in sets of 3. 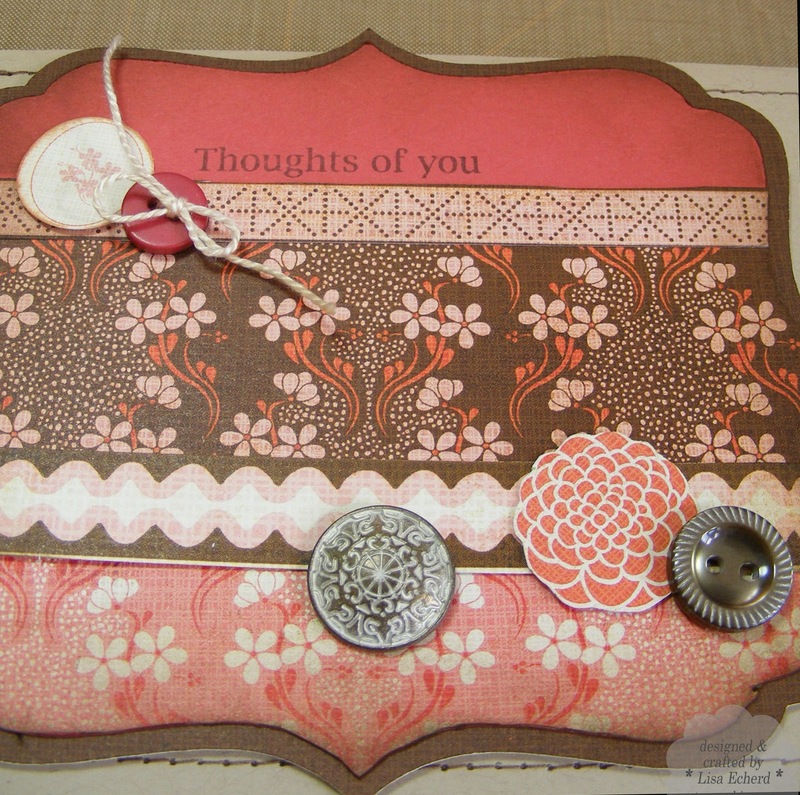 I like to store all the embellishments with a paper collection and then keep all the scraps. Drawers work great because they come out so I can just lay one beside my worktable and pull and put things into it as needed. What is your favorite product for 2010? 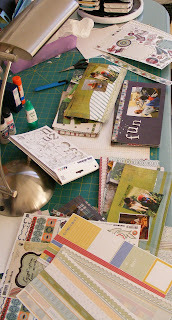 For the last week, I've been working on two mini albums in my scrapbooking time. They are very similar both with the same paper and photos of Lenny's grandson's visit here last summer. 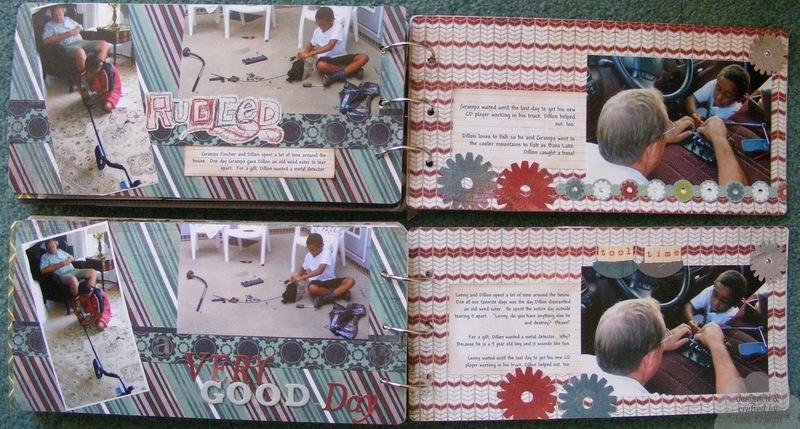 The journaling will vary a little as the experience was a bit different for him as it was for us (smile). I've done all the background papers and added the photos. The journaling is typed. Now it is time for some fun! 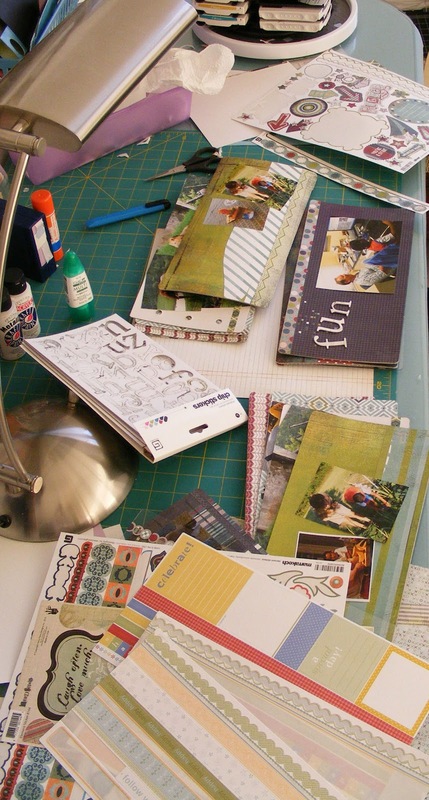 I look forward to embellishing the books this week. 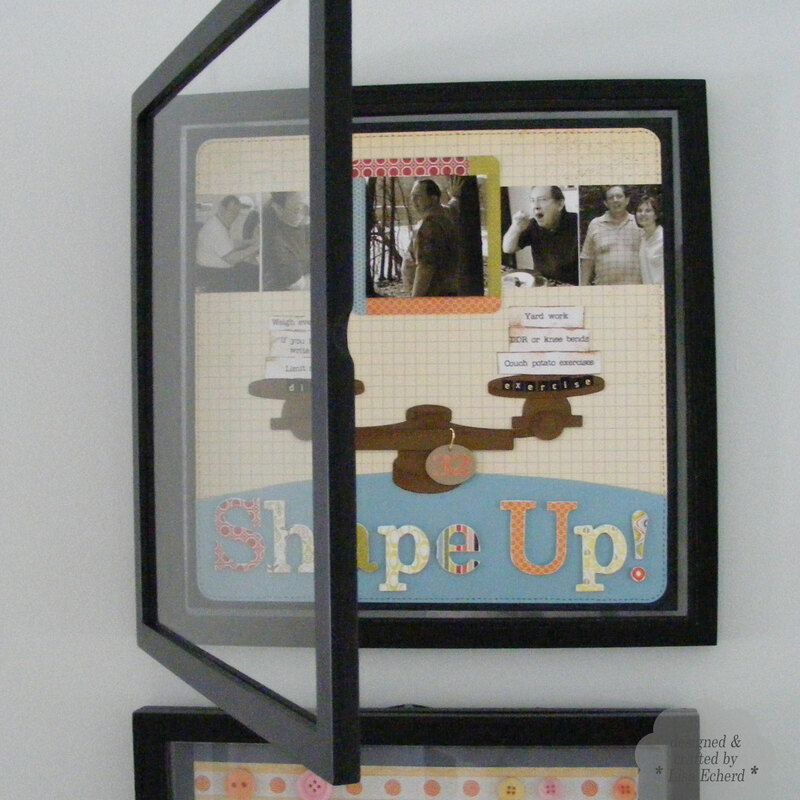 Last night I watched the first video in the new Two Peas class Products Every Which Way Shannon Tidwell Class. 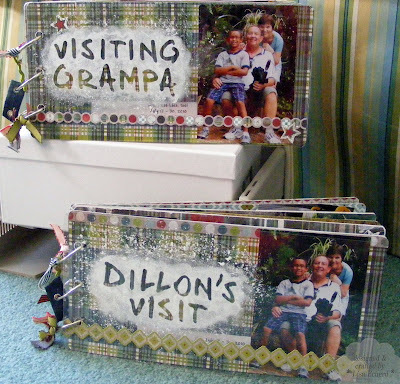 I liked Shannon's ideas for using border stickers. I don't have a lot of those but I think I can use many of the same ideas with many of the leftover strips of pattern paper from this project. Hopefully, I'll have the books on the blog later in the week! Isn't this a sweet little card I CASEd from the Stampin' Up! 2010-11 Idea Book? The colors are for the Splitcoast challenge this week. I've used the Sweet Little Sentiments stamp set for the message. 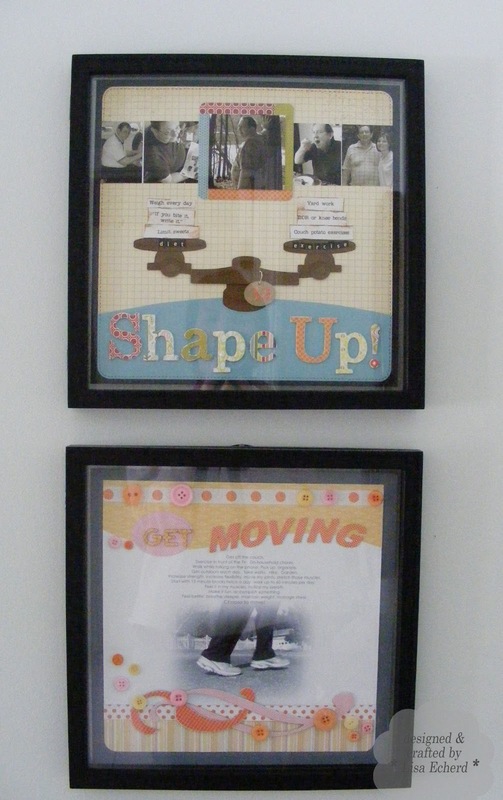 However, there weren't many sweet little sentiments being said in my craft room while I was making it. This was one of those days when the glue would only come out of the bottle in great globs or not at all and when the Cricut refused to cut intricate details. My cupcake had 'sprinkles' until I stuck my thumb in the Stickles so I just had to smear all of it around. 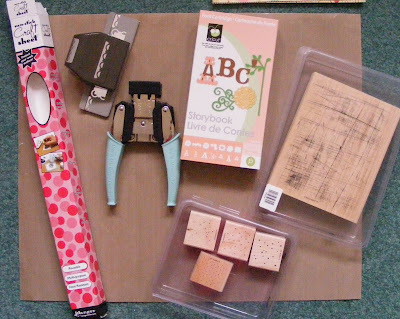 I assembled everything and had forgotten to stamp "Birthday" so I hand wrote it - no way to get the Stamp-a-ma-jig placed at that point. I got the background paper crooked which require the extra scalloped border, then I trimmed off to much on the corner so I had to corner punch it. I cut the ribbon too short and ended up with very frayed edges with what was left. And of course the great globs of glue leaked out from behind the letters. 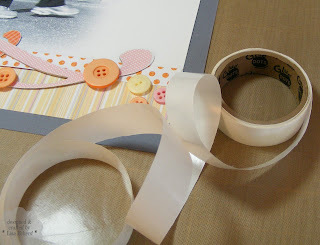 Toward the last of this project, my husband popped into my craft room with one of those 'what's for dinner' questions. (I had made lunch that day for him and my parents who he invited without asking me - not that I mind but it is nice to get some notice.) So more less-than-sweet sentiments followed that question. 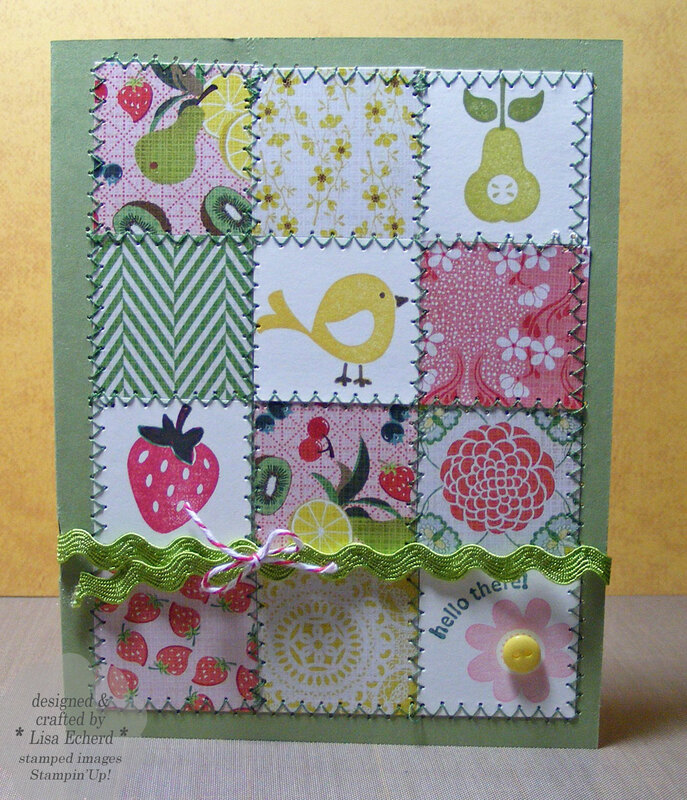 It is a wonder this cute little card survived and even more of a wonder that I'd like to make it again - when I'm having a better day. DSP: Sweet Pea and, Razzleberry Lemonade from SU! At first I wasn't sure about this technique and then slowly the colors started to really pop for me and I loved it! "Black Magic" is a technique where you stamp an image in Whisper White on a dark background, heat set, and then color with pencils. I didn't have watercolor pencils so I used regular Prisma colored pencils. It is was great to get some new life in a supply I've had for many, many years. gold embossing powder by SU! We are just past Christmas and Valentine's Day will be here soon! This is one of the cards in my last Operation Write Home box. The Valentine's deadline has now past but you can still get a jump start on Easter or Mother's Day. If only I'd get started now, I tend to wait until the last minute. Good thing Easter is late this year. DSP: Regal Rose by SU! Ribbon: Rich Razzleberry by Stampin' Up! I must be stamping virgin. I've never kissed! At least I don't think I've ever done the kissing technique for stamping. It is the technique for this week's Clean and Simple cards at Splitcoast Stampers. Pals Paper Arts challenge is to use the new Pear Pizzazz, Baja Breeze and Perfect Plum. The two stamps I kissed are large flower stamps from two different Stampin' Up sets. 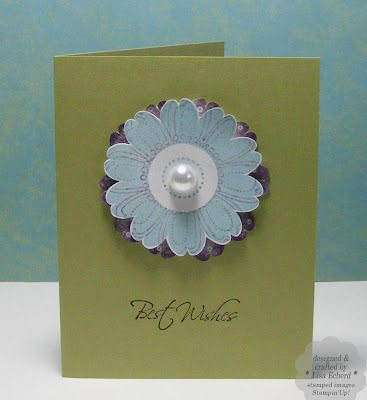 I inked up the open flower design in Plum and inked the solid flower from Petal Pizzazz in Baja, press together and Voila! For the background flower, I had to cheat a little to get it large enough to show. 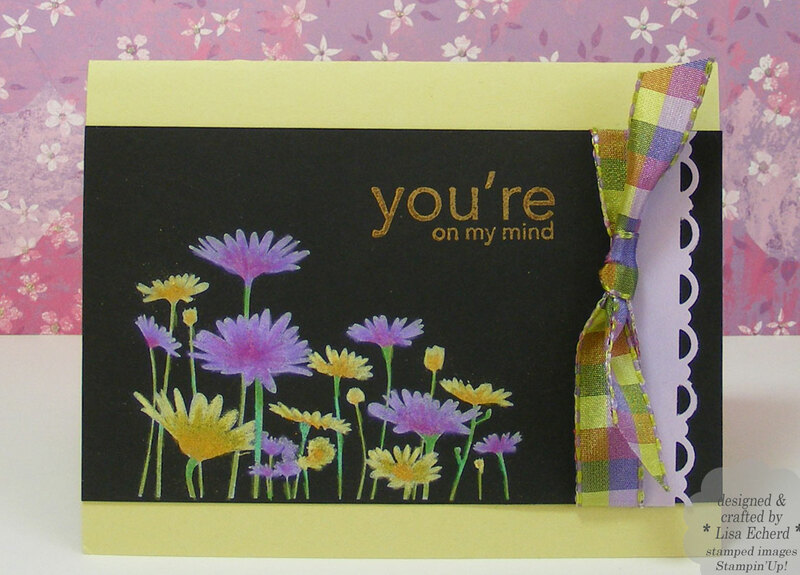 After stamping in Perfect Plum and 'kissing' with a polka dot stamp, I cut out the image and then snipped each petal separately. 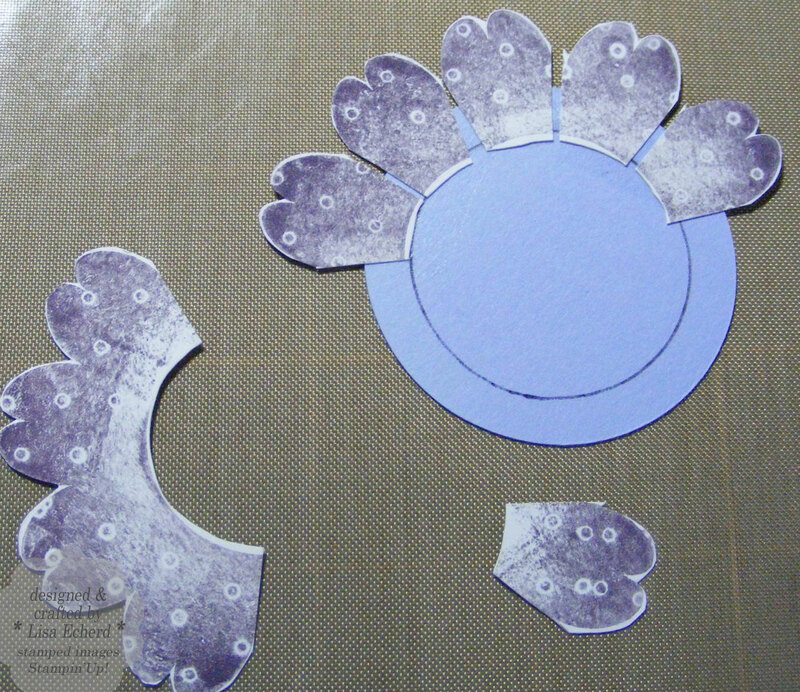 I then adhered the petals to another circle of cardstock so a slightly larger flower would peek out the back of the top flower. 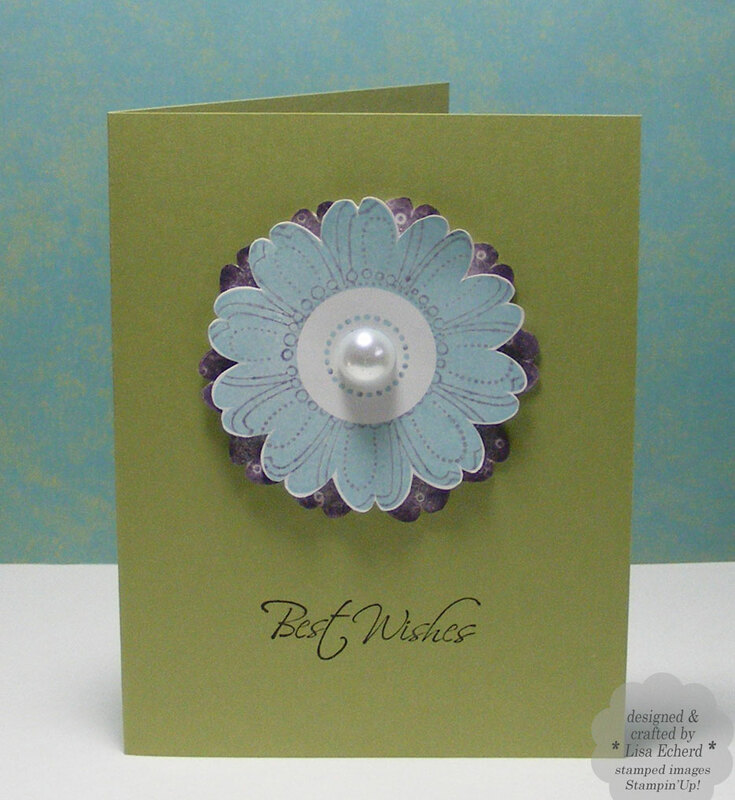 A pearl and a sentiment wrap up this very simple card. Pearl: Pretties Kit from SU!